Chronic pain can be seen in 30-40% of patients at 6 months after stroke. It can be divided into two basic forms as described below. It can have a huge effect on quality of life and mood as well as exacerbating depression, anxiety, excessive worry, withdrawal, apathy, and sleep disorder. Stroke Physicians may not always be the best to manage the more chronic and intractable cases and may need to signpost patients according to pain services for ongoing support. There are three different syndromes here though there may be some diagnostic overlap. This has long been recognised since ancient times and more recently was named as Thalamic pain syndrome of Dejerine-Roussy Syndrome in 1906 who described it as a “severe persistent, paroxysmal, often intolerant pain on the hemiplegic side, not yielding to analgesic treatment". Difficulty in treatment is one of the hallmarks. It has been called “among the most spectacular, distressing, and intractable of pain syndromes”. It is related to strokes involving the thalamus but may be seen in any stroke(s) affecting the spino-thalamo-cortical pathway. Thalamic pain patients usually have lesions mainly in lateral and posterior thalamic nuclei on MRI. Clinical: Pain tends to come on weeks or months after the initial event and often only comes to note at follow up. There is intense spontaneous or evoked pain in the affected extremities and can affect the entire side of the body with an aching and burning quality. Sensory disturbance is a major component of CPSP, including abnormal temperature sensation, dysesthesia and hypersensitivity to cutaneous stimuli. In contrast, there is often a normal response to light touch and vibration suggesting an issue separate from dorsal columns. Pain appears to be alleviated with relaxation and worsened with emotional and physical stress. Treatment includes antidepressants and anticonvulsants. Opioids, NSAIDs and paracetamol are not felt to be effective and generally avoided. Amitriptyline given at night was found to be useful. Start low and up titrate. Main side effects are sedation and anti-cholinergic effects so take care in elderly patients. Gabapentin an analogue of GABA. Side effects dizziness and sedation. Consider up titrating as per BNF. Lamotrigine is a non-NMDA anti-glutamatergic activity and is relatively well-tolerated. There are risks of Stevens-Johnson syndrome and toxic epidermal necrolysis. Start low and up titrate. Intravenous (IV) lignocaine may provide pain relief in some patients with CPSP as a temporary ‘rescue’ agent in severe cases refractory to oral medications. 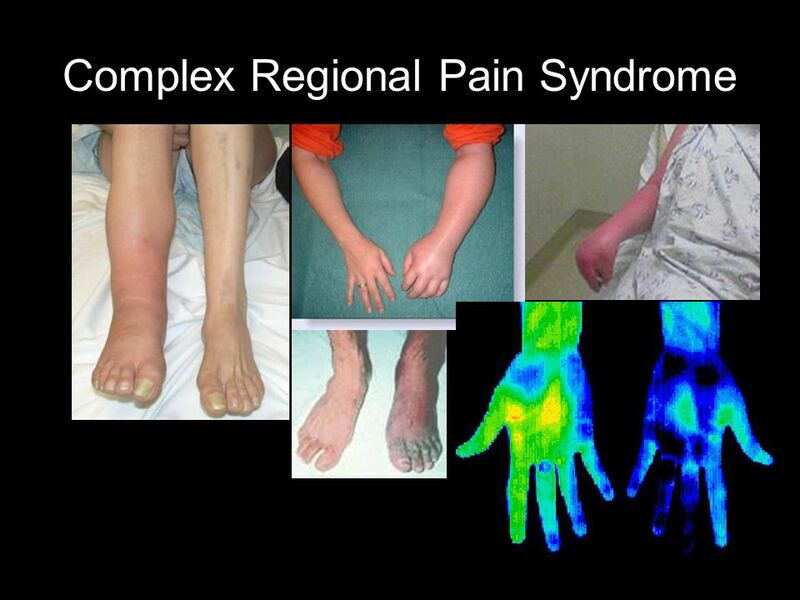 Complex regional pain syndrome (CRPS) type 1 is a sympathetically mediated pain disorder presenting with the qualities of neuropathic pain. Mechanisms are unclear and may include Spasticity and limited range of motion of the shoulder, especially external rotation. The most common presentation of post-stroke CRPS is severe shoulder and hand pain with sparing of the elbow together with swelling, especially in the hand. There may be other forms of neuropathic pain with vasomotor, sudomotor, and trophic changes. Management: Amitriptyline as described above. High dose Oral corticosteroids (Prednisolone 100 mg/day for 2 weeks)have been used. Gabapentin at high doses has been used. Alternatives include Pregabalin. Stroke can cause biomechanical changes at the shoulder after stroke. Often multifactorial and complex. Weakness +/- Spasticity of the rotator cuff can retract the scapula and depress, adduct and internally rotate the shoulder. Pain with external rotation. Some develop Adhesive capsulitis, glenohumeral subluxation and rotator cuff injury. Adhesive capsulitis: slow insidious global loss of shoulder movement in multiple planes of movement, but especially external rotation and abduction. Loss of shoulder complex motion eventually leads to decreased soft tissue elasticity and then to joint contracture. Gleno-humeral subluxation after a stroke most commonly occurs in the anterior and inferior directions. Supraspinatus is ineffective in supporting the humerus. The soft tissues supporting gleno-humeral joint become over-stretched. There can be a painful tendon, soft tissue. Brachial plexus injuries through poor handling may be seen. Prevention is by proper positioning of the affected upper extremity and arm support which must be understood by patient, carers and staff. Steroid injections may help in a case by case basis.